Rabbi Dan Goldblatt instructs in the use of ritual items at last year's Sukkot Festival. Fido and Mittens will reign supreme this weekend at Bark & Meow Around the Block. The Berkeley Humane Society, which previously hosted the popular dog walk and fundraiser Bay to Barkers, is holding the block party for pets and their owners on Ninth and Carleton streets in West Berkeley. Attendees can listen to funk and blues music supplied by the Tribal Blues band, sip wine and locally brewed beer, and engage in pet- and family-friendly activities. For those needing to fill the void at the end of their bed, animal rescue organizations the Milo Foundation and NorSled will also be onsite to facilitate adoptions. And if you need any further convincing that this event will be a good time, we have three words for you: doggie dance party. Sunday, Sept. 22. 12-4 p.m., free. — Z.M. 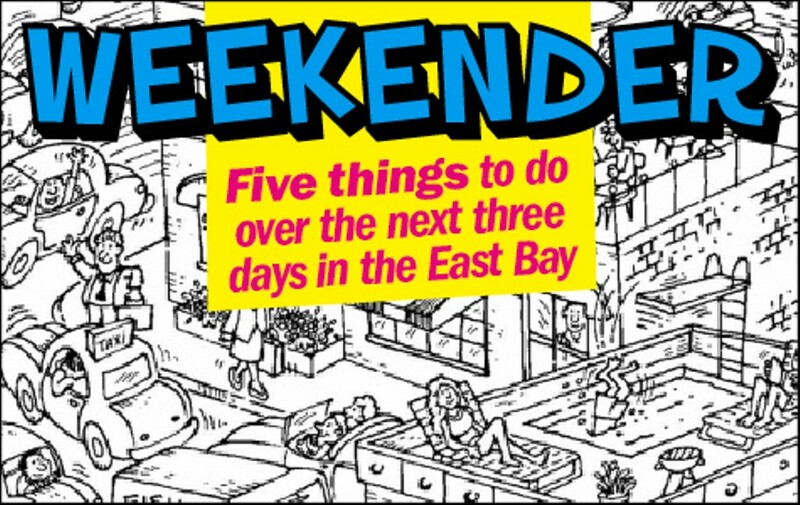 Plus... Get your cheapskate on: This is how much we love you guys: Here are our searchable listings of every single free event happening in the East Bay this weekend. Feed Us: Got any East Bay news, events, video, or miscellany we should know about? Holler at us at Zaineb.Mohammed@EastBayExpress.com.